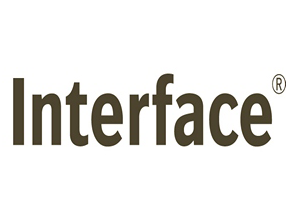 Interface is the world’s largest designer and manufacturer of modular carpet, based in Atlanta, Georgia and in business since 1973. The company has sales operations in 110 countries and manufacturing facilities on four continents. With such a large user group, the company was plagued by data quality issues, as data was flowing into their CRM from many systems. Interface was dealing with some complex data issues. Because they were streaming multiple points of data into their CRM, there was much opportunity for duplicates and bad data quality. Their sales and marketing teams had a lot of difficulty finding the right information when they needed it, slowing down productivity. Further, they were also using data from a third-party integration with Dun & Bradstreet as a means to verify and enhance the information for each prospect or client. Overall, the way in which they were using their CRM wasn’t working--costing them lots of time and money with no return. ActivePrime enabled Interface to enhance the quality of their data with tools that prohibit, block, and find duplicates. These tools allowed only “clean” data to flow into the CRM. With CleanVerify, the Dun & Bradstreet integration became more seamless, immediately verifying account information before adding it to the database. They were also able to use the Team Management tool to streamline the previous manual process of adding or removing teams to accounts, contacts, and opportunities. The Interface team experienced a true turnaround, which meant their CRM is now a valuable tool, not a liability. By using our deduping tools, they can always count on their data to be accurate and duplicate free. We also customized the D&B API to increase the visibility of the most important information by sorting and displaying it on two different pages. They no longer have to “police” the data coming in from multiple sources. This has led to higher usage and adoption, increased efficiencies, and higher productivity.